Trendy wedding dresses are one of a kind. When you choose one of these quality gowns for your special day, you know that you’ll have a unique gown that will have your guests in awe. 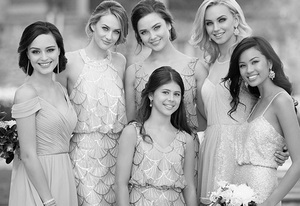 Dimitra Designs wedding gowns features the work of many generations of experienced talent to bring you forward designs of contemporary and traditional styles of the highest quality. Maggie Sottero, Justin Alexander, Morilee are some of the brands that keep up with bridal trends that feature feminine sophistication and romance in a variety of styles to fit every figure. Take a look at our pages of gorgeous trendy wedding gowns. Here you will find body-hugging bodices, stunning full skirts, ball gowns that make a statement and dresses with elaborate layers and trims. Dimitra Designs bridal dresses also feature necklines that range from discreet bateaus and portraits to plunging portraits. Fabrics on bridal gowns are soft and elegant. Embellishments are elegant as well. 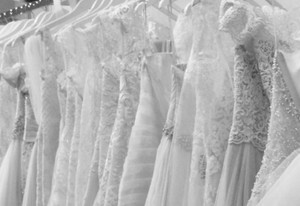 Want a plain gown or one for a plus-size bride? No problem. We carry all styles and sizes to suit our diverse clientele.